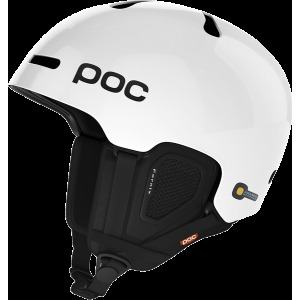 POC Fornix White ski helmet is light weight, well ventilated and safe. 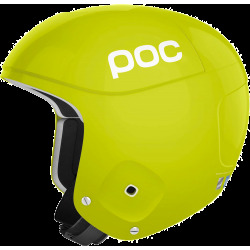 By molding aramid bridges into the construction, POC could create a super lightweight helmet while maintaining structural stability and protection. The award winning POC Fornix White ski helmet is a lightweight, aramid reinforced and well-ventilated helmet. 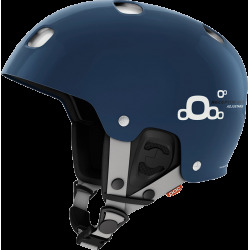 By applying aramid strings and molding them together with the foam liner, it was possible to develop a lightweight helmet while maintaining structural stability and a high level of protection. The aramid allows energy to be dispersed over the entire bridge, giving the helmet better energy absorption. 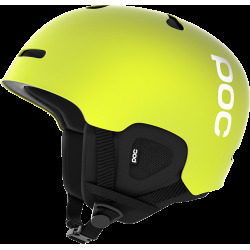 The POC Fornix White ski helmet is generously ventilated and the size adjustment system makes it possible to customize the fit of the helmet to make sure it stays safe and comfortable in place. 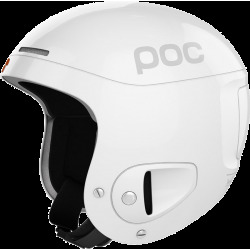 POC Fornix White ski helmets are guaranteed 12 months against any breakage within the framework of a normal use, against manufacturing defects noticed by the manufacturer, as from the date of purchase ( the date of the invoice). The guarantee does not cover the defects due to a misuse or to a lack of care (shocks, scores on glasses, loss, accident).